I do not even know where to start. I have been MIA for eight ( 8 ) months. Shame. I tell you, I have a perfectly solid and valid reason why it's been a ghost town in here lately. The past months have been nothing but intense craziness. My work place has been transferred to our corporate head office since March of this year. Stating the obvious, travel is 24-kms one-way, so x2, that would be 48-kms every day. It does not help that we have one of the most terrible traffic systems here in the Philippine. Imagine having to wake up at 4:30AM every single day if I want to clock-in at 8 o' clock in the morning. I didn't think I'd last, but luckily I am surviving. I just don't know if I will ever be able to adjust to this living in the South & working in the far North kind of thing. I wish I'd get my blogging mojo back. I have tons of scheduled and unfinished posts that I have been wanting to share with all of you, but I just can't seem to bring myself to wholeheartedly write about them. I have been going to bed tired and have been waking up the following day still tired. So whatever little free time I have, I choose to get extra hours of sleep or hang with friends or simply do nothing. I try to enjoy these little un-frazzled moments. 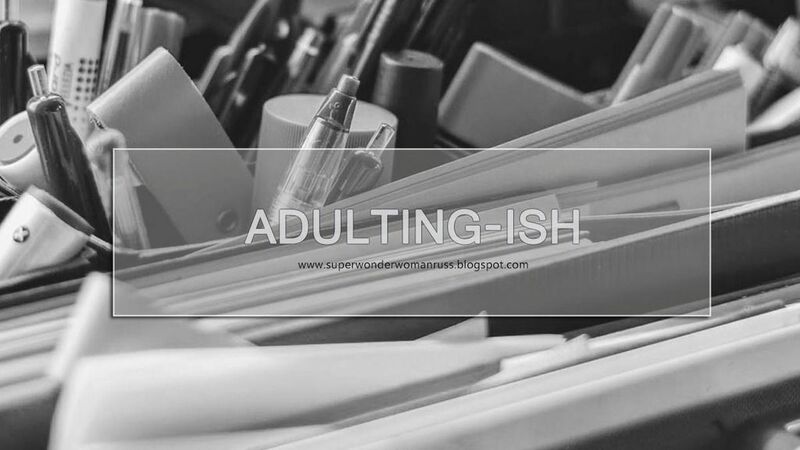 Have you ever struggled in being a grown-up? What do you do whenever you feel like there's just so much on your plate? Any advice on how to make adulting easier? Peace + ❥ Love + Good Vibes. RUSS. 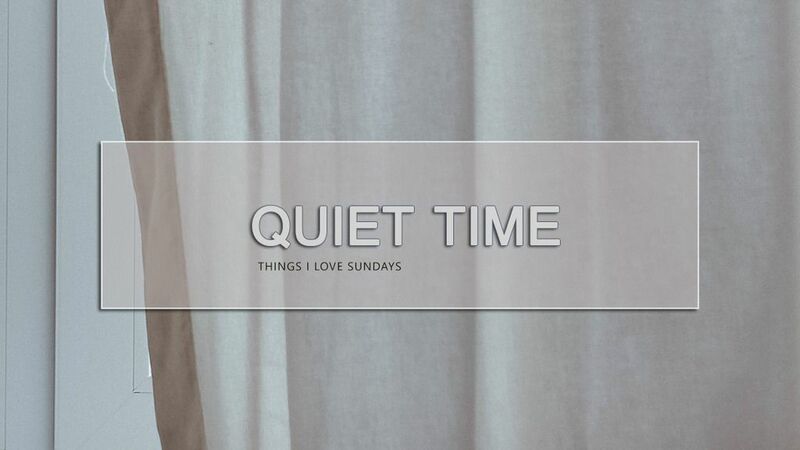 Things I Love Sundays: Unplugged. I didn't go home a couple of Saturdays ago. Well, it's no secret that I am an extrovert. I enjoy being around and with people yet there are moments when I crave for some quiet and peaceful time, alone. It is not something that I often get unless I impose it, which I did a couple of weeks ago. Sure, I like to hang with my friends, share stories, and catch up. I'm fond of night caps and late weeknights with colleagues. I dig long breakfasts. Yet three weeks ago, I had way too much of un-wanted chaos and noise. It did drain the energy out of me. I reached this point wherein I simply longed to take a break that sort of "people-fasting", to shut down, and just itched for everything to go on a complete halt. Of course - these things don't happen with a snap of a finger so the choice to not go home for a couple of days was a good one. No one knew where I was. There were no traces of me in social media for at least a good 2 days, but really, I was just in the city. 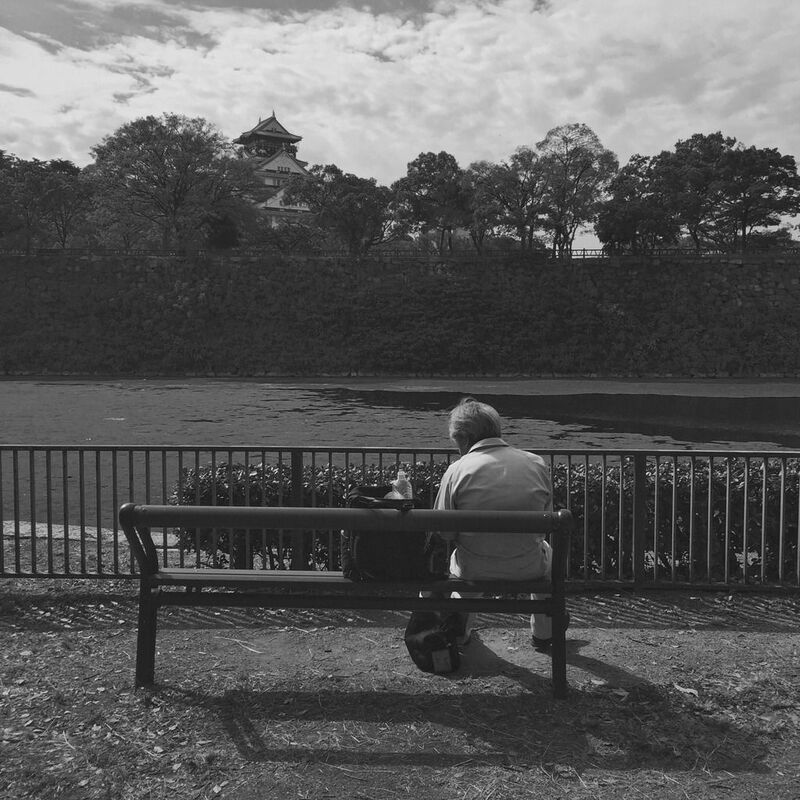 But I tell you, that one selfish moment that I yearned brought me solitude. It may have been for just a few days, but it was glorious. And now, I promised myself to carve out mandatory weekly or if I'm lucky enough, daily me-time hours. If you're curious » »» »»» nope, I didn't do anything out-of-this-world, but I was tempted to travel solo somewhere but I knew it would be 'bitin'. Being the responsible human being that I am, I can't just leave work and YOLO away... that would be super fun though.Ü My Mom thinks otherwise. I did little, me-time stuff and I liked it. I won't be surprised if I find myself booking a flight and going somewhere, alone. This is something that I have been wanting to do for the longest time, but I guess I'm just scared to do it. However, taking inspiration from my word of the year — courage, it may just happen one of these days. I came across Think Simple Now and I love how they described alone-time as something beautiful and healthy. We all know how others frown upon solitude because most people think that it's lonely. That's just one way to look at it. Here's a snippet from Think Simple Now's article. "There is a power in being able to find contentment in solitude. Bacon ( Francis Bacon ), wasn't far off when he ascribed god-like powers to the people who can enjoy solitude. If you are able to be happy alone, then even in the emptiest times in life you can find peace and even joy. I'm not suggesting solitude is better than being with people. Simply that it’s impossible to completely avoid aloneness in life, so it’s worth having a strategy to find joy in those moments. Enjoying solitude can also give you an independence that makes you less desperate with friends and less likely to cling onto lousy relationships." P had his solitude, unplugged moment too. He went on this tour slash trek to one of the mountains here in the Philippines. He went with this group wherein he didn't know anyone. While there's a part of me that felt that I should have been with him climbing that mountain, I just could not get myself to be a clingy and demanding person. That was his much-needed, sacred me-time. If situations were reversed, I'd want him to respect my time alone, too.Ü Anyways he came back re-charged and all jazzed up. Have you ever craved for me-time? What things do you enjoy doing alone? I like taking long walks. I can also spend days worth learning how to do make-up ( from YouTube, of course ), but next month or next next month, I'm gonna try to squeeze in taking make-up lessons. Peace + ❥ Love + Good Vibes. RUSS. We were like family and it took a lot of courage for me to face the reality of his decision. I was in denial for a while, but I knew that I owe it to myself to move past this. Step 1 was to allow myself to feel sad. Pain bonded the rest of the 'family' that he left behind. Once I started to act like a grown-up about it, I started to feel better. And now my new page is filled with excitement with a pinch of anxiety. I know that things happen for a reason even if the reasons always come after. Instead of toying with ideas of leaving and running away, I look forward to discovering whatever good is there for choosing to stay. Waiting was never one of my strongest points so I hope this comes to pass soon. It can be easy to get sucked in by these things. It can be tempting to just leave yet once you remind yourself of the bigger picture, you see how pitiful an exit running away can be. We're just human and we can easily get seduced to self-destructive pleasures. So no matter how terrible a situation is, I always make a conscious effort to choose to see the good over the bad stuff. My Chinese zodiac forecast says that 2017 isn't going to be that nice for me. I almost threw a fit when someone told me about this. You see, I have tendency to over-think so to counter this and to continue to channel my energies to being positive, there are 2 things that I'd like to do for myself through my blog this year. This one is a count-your-blessings journal thing that I learned from Musings in Milan. Gratitude Journals have become a popular practice everywhere, even Oprah Winfrey has one.Ü I believe that gratitude does magic. I came across this article from Abundance & Happiness and it talked about how gratitude attracts happiness. You may want to check it out if you have extra net time, it's a good read. What is something you want to change or a goal you want to set for the year? How do you plan to make it happen? If there's one thing I failed miserably at last year, that was taking care of myself. I must have gained at least 7-lbs and it got to a point when some people would bluntly tell me how I got "rounder". Of course I was annoyed and I noticed how it was affecting my confidence. I was working out but I guess it wasn't so effective because I lost discipline with what I ate. Come mid-November, when I returned from my Japan trip, that's when I decided to first cut down on junk food. Despite my thyroid troubles, as of today, my total weight loss = 4.2 pounds. Many people choose a word to reflect on or live by for the year — let us know your word. How will you work on it this year? I started to think about this way back in December, but waited until after the first few days of the year for a word that would be most meaningful to me. This transition right now has a lot to do with this. I don't think I will ever be fearless, but I would like to be able to always choose to confront my fears and to act on them in both big & small ways. I bet you're shocked with what I just wrote. My family, friends, and people around me know me to be an extra-strong woman, but guys, supergirls get scared, too.Ö For whatever it'll be, I want my heart to remain strong and my spirit to stay brave with anything that life throws at me. So friends, the word that calls out to me the strongest for 2017 is COURAGE. 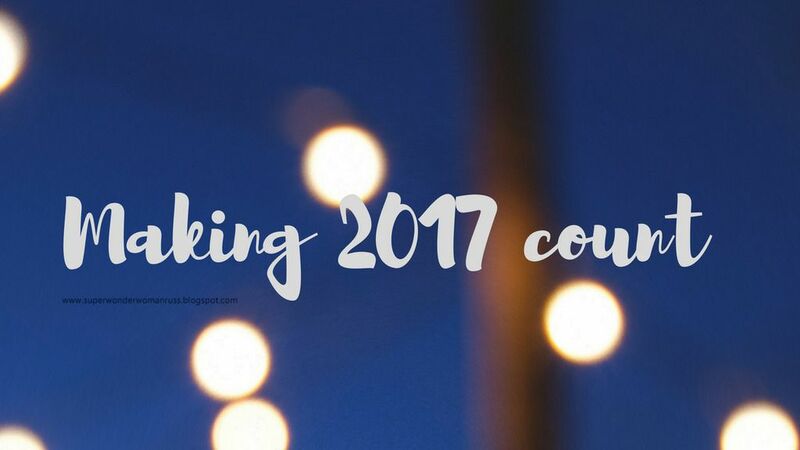 I will make 2017 count by: Live in Gratitude AND Spread the Love. Peace + Love + Good Vibes. RUSS. Be good ( even if it's not easy ) and it will come back to you.